« New T-shirts and other merch available! 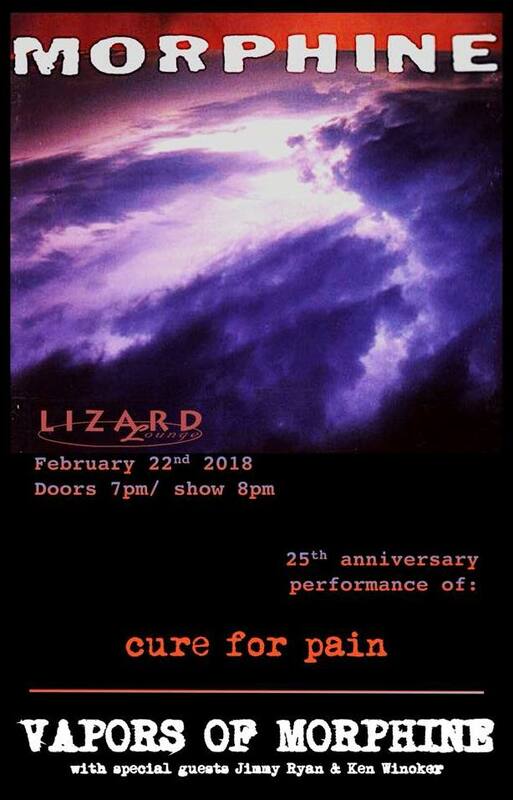 Cure For Pain 25th Anniversary Show!!! To celebrate the 25th Anniversary of the release of Morphine’s seminal album, Vapors of Morphine will perform Cure For Pain in it’s entirety! The show will be at the Lizard Lounge in Cambridge, on Thursday, February 22. Special guests Ken Winnoker and Jimmy Ryan (who both appeared on the album) will perform with the band.